Year 7 Science – Biology- Look at habitat and relationships within an ecosystem. Evolving and life cycles in the natural world. Perfect for the creation of dicotomipus keys. Year 9 Measurement and Geometry -(Trigonometry) given distance from Pokmen calculate angles and distance thrown to capture Pokemon. Great article. I’m still on the fence at what I would recommend to schools, but choosing a school position and sticking to it is the key. Thank for your ideas. The Pokemon card game will also make a resurgence. According to an ex-Principal friend of mine, they needed to create some rules about “gambling” at their school because of the cards popularity and “lose a card if you lose the game”. Just another thing to ponder and also a fun addition to the learning opportunities. Great article Skye. We been having much fun Pokemonning it these holidays. Hey, I saw you on channel 7 – thought you were CRAZY!!! 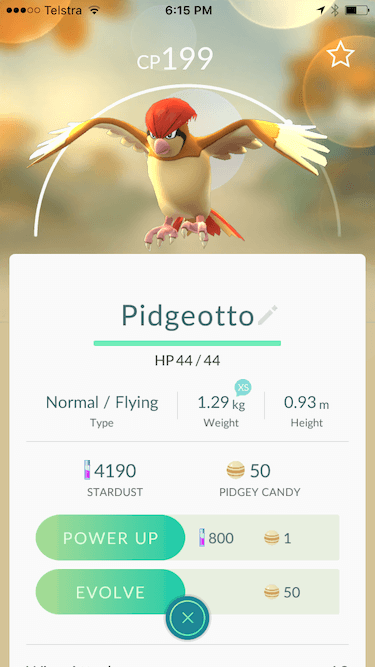 However, I would love to have a pokemon themed math class revolving around catching pidgeys. You’ve made a believer out of me. 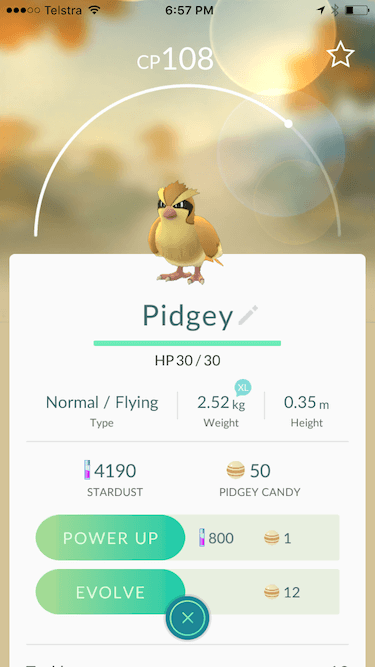 I really love pidgeys. Pidgies are actually pretty cool, in Go they’re super important because they are pretty much the best for gaining XP from evolving them. 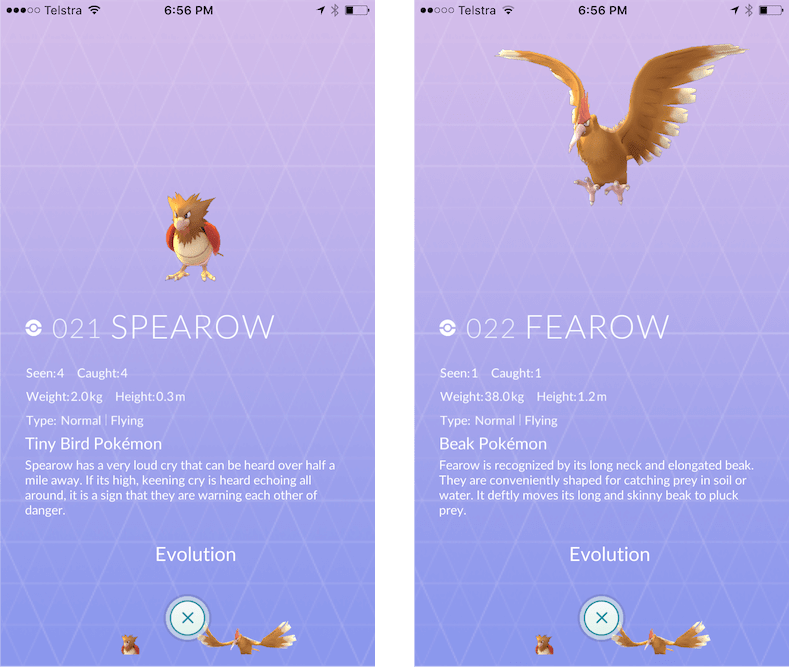 If you haven’t seen it already check out http://pidgeycalc.com to help calculate the most effective way to gain XP with Pidgey evolutions. Pretty sure you are a student in year 9/10 so you might be able to suggest a Math class about reverse engineering this calculator? There would also be an interesting set of graphs that could be produced and it would be cool to see the formula too. If this is all too easy and you need to extend it then do the same calculations but in base12. 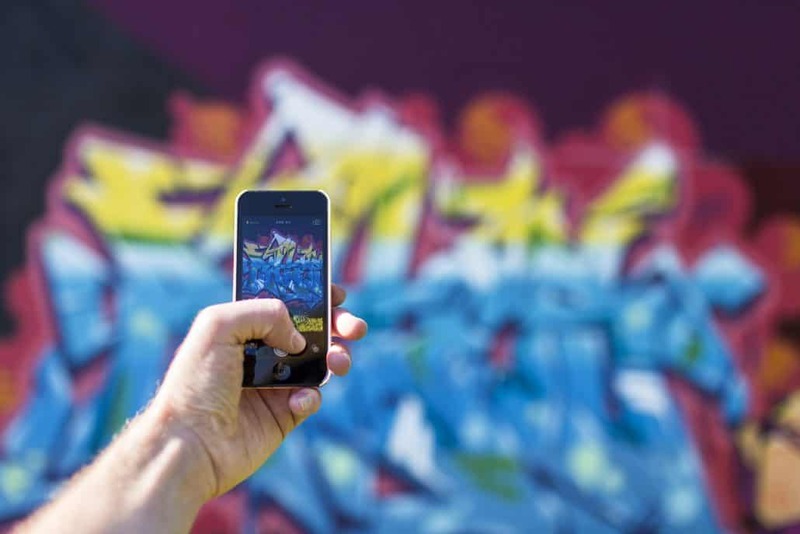 A great article to read, especially with my teenage son who is an avid fan of Pokemon. Website Image Size is important Where did that come from?